‘Photography is a walk alone in the universe…The conventional world veils your vision, for photography you have to find a way to remove the veil.’ So wrote Chilean photographer Sergio Larrain in a 1982 letter to his nephew who had asked for advice on becoming a photographer. What is perhaps most unusual about this advice given by Larrain, a prolific letter-writer until his death in 2012, is that by 1968 he had all but given up the practice of photography. The son of noted Chilean modernist architect, Sergio Larrain Garcia-Moreno, Larrain initially studied forestry at the University of California, Berkeley, before taking up photography at the University of Michigan. His early work caught the eye of Henri Cartier-Bresson, who invited Larrain to become an associate member of Magnum in 1959, with full membership awarded from 1961 (apparently after Larrain completed the all-but impossible task of photographing mafia boss, Giuseppe Russo). While the retrospective at Santiago’s Museo Nacional de Bellas Arte is a touring version of a similar exhibition originally shown at the Arles photography festival in 2013, it is particularly poignant for Chileans as it marks the first time Larrain’s photographs have been shown in his own country since the 1960s. After only 12 years of professional photography, Larrain met Bolivian guru Óscar Ichazo and turned from image-making to devote himself to the study of Eastern culture and mysticism. Once Larrain quit photography, he essentially forbade the exhibition of his own works, particularly in Chile, because he didn’t want the pressure and notoriety of being a ‘famous’ photographer. 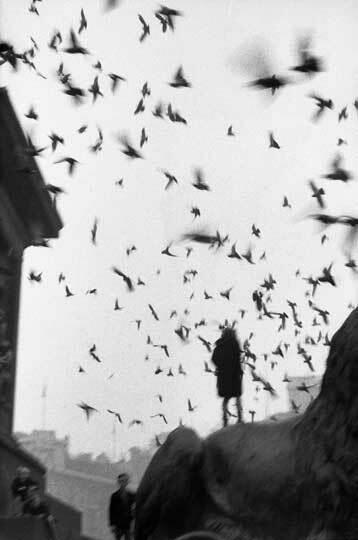 ‘The exhibition has had a great impact, mainly because people have heard talk of Sergio Larrain as a great photographer, though Chileans did not know his work’, Verónica Besnier, cultural advisor of the retrospective at Museo Nacional de Bellas Artes, told The Santiago Times. The 157 photographs on display should go some way towards convincing Chileans, as well as the rest of the world, of the greatness of this photographer who they may have heard of, but rarely seen. His images are geometric, shadowed love letters to the day-to-day lives of South Americans in all their many guises. People are his forte: the street kids of Santiago, catching them unaware in strangely sophisticated adult postures; the sailors of Valparaiso, made all the more exotic when contrasted with the town’s dapper old men; shawled Bolivian women, Larrain’s genius for chiaroscuro on glorious display; in the Andean mining town of Potosi, where many of the images are taken low down at street level, the little girl in the shadows, the stray dog and the sun spots. The retrospective also features many images taken outside of South America. A series of images of Paris don’t stand up next to those taken in Chile – the soft light and absence of people mean Larrain’s strange angles and perspectives dissipate into a kind of hazy nothingness. In 1958, Larrain was given a grant from the British Council, which allowed him to produce a series of photographs of London, images far more compelling than those taken in Paris. The darkness, smog and grime of 1950s London lends itself to Larrain’s love of chiaroscuro, acting as substitute for hard sun and harsh shadows. ‘Sergio Larrain’ is at the Museo Nacional de Bellas Artes, Santiago, until 15 July.